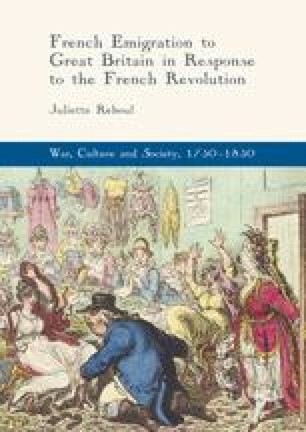 By 1795, the failures of the Counter-Revolution, the rapprochement between revolutionised France and Britain, and the political changes in France led many emigrants to reconsider their exiles. This chapter examines the private solutions chosen by exiles and discusses cases of successful and failed repatriations, suicides, marriages and pregnancies. Ultimately, it interrogates later evolutions of the emigrant discourse in which the relation to Britain as a host country was reassessed through the lens of émigré failure. While some still considered the host as an enabler of the Restoration, others contemplated integration and assimilation into their host society as the final cure to the ills of the ancien regime, the Revolution and the emigration.